It's that magical time of the year and even more so if you have children or adults with kiddie hearts as I do! I love Christmas and I love spreading happiness and joy with the gifts I give. 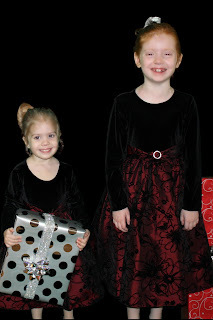 This year, my seven year old daughter's non-profit, Angels4Epilepsy, will be spreading Christmas joy on Saturday with gifts donated to the Ronald McDonald House. The holidays can be stressful as I have found this year with trying to give my two younger kids, who have everything, something special. I prefer to find a one place shop for my gift giving especially after today as I went from store to store trying to find the perfect gift without success. I should have known that all I had to do was visit the Hasbro Ultimate Gift line. As part of my participation in the latest TwitterMoms and Hasbro Ultimate Gifts blogging sweepstakes, I'm sharing my top ten tips for making this the ultimate holiday season for you and your family. This is not hard to do given the entire toy line that Hasbro offers. For me, the ultimate holiday season begins with decorating the house and tree. This is a special moment for my family as it's something we all participate in. It provides memories and helps to establish future traditions with my children. Having a house with that heartfelt feeling for the holidays sets the motion for happiness and Christmas joy. Planning early for gift buying is a must as nothing is worse than stressing and tackling the crowds. This definitely creates a stressful situation and when mama is stressed, so will everyone else! I try to start buying in October and planning my gift list early. I don't always succeed but I try. Creating the perfect Christmas card is a way to share that ultimate Christmas cheer personally from your family. Whether you adorn them with pictures or a personal greeting, it helps to set the mood and brighten someone's day. Taking the picture also leads to warm, fuzzy feelings every time you look at the picture. No holiday season is complete without a trip to Santa Claus! Go early to avoid the long lines and possibly stressed out other parents. Seeing the delight and smiles on your face adds to the magic of the season. Planning for the get-togethers to share in the joy and gift giving is a must. I would love to have them at my house but since I live so far away, we must travel. Spending precious time with those you love is all part of the season that leads to more memories to come. Planning your event early and what you will bring will eliminate any surprises or last minute stresses. Each of my tips are meant to be pieces of a puzzle that leads to the ultimate holiday season. Decorating cookies and making other deserts is another way to not only create a tradition but many memories for years to come. Holiday baking is something that is fun and allows your creative side to emerge. What child doesn't love to help decorate cookies or make a gingerbread house? If you don't like shopping in person, utilize online shopping specials and deals. Places like dealcatcher and others will provide online coupon codes offering tons of savings that will add up to spend elsewhere. When I purchase something, I go through MyPoints to accumulate points to trade for gift cards. This is a quick way to have gifts for others that they can use like a gift card to Hasbro. Online shopping also offers the avenue of convenience. As I stated before, finding a one stop shop like Hasbro is perfect. They have all my children's favorites ranging from Furreal Friend's Biscuit to Monopoly to my husband's favorite, Star Wars. Hasbro has a huge selection of toys that allows me to really shop one place and be done. Shopping online eliminates stress, gives you more time to do other things and can save you money. This to me, helps to ensure a perfect holiday season will be achieved. Another aspect of my gift giving is presentation of the gift itself. I love to wrap presents in beautiful, blingy type papers and ribbons. Instead of busting the budget, I purchase my next year's wrap after Christmas so I can enjoy the paper I want. By doing this, I avoid the stress of finding the perfect paper and I don't spend most of my Christmas budget on paper and ribbon. My final tip is to give back. Nothing sets the mood better than giving back to someone in need. Whether it's a giving tree, a toy drive, food to a food bank, cards to our military heroes or nursing home folks, there are always people in need of a little attention. This provides life long lessons to our children and sets them up to give back as they grow older. Nothing sets the mood for me than giving back and teaching my children to follow me in my footsteps. No matter what you do for Christmas, you can make it the ultimate one by just planning a little. Whether it's planning every detail or just a few, planning ultimately provides the best way to alleviate stress and that leads to a happier, healthier Christmas season. I enjoy the holiday and have found myself getting stressed which is a reminder that I just need to remember that it's about giving, smiling, loving and happiness. Hasbro, Inc. is a branded play company providing children and families around the world with a wide-range of immersive entertainment offerings based on the Company’s world class brand portfolio. From toys and games, to television programming, motion pictures, video games and a comprehensive licensing program, Hasbro strives to delight its customers through the strategic leveraging of well-known and beloved brands such as TRANSFORMERS, LITTLEST PET SHOP, NERF, PLAYSKOOL, MY LITTLE PONY, G.I. JOE, MAGIC: THE GATHERING and MONOPOLY. The Hub, Hasbro’s multi-platform joint venture with Discovery Communications launched on October 10, 2010. The online home of The Hub is www.hubworld.com. Come see how Hasbro inspires play through their brands at http://www.hasbro.com. I wrote this blog post while participating in the TwitterMoms and Hasbro Ultimate Gifts blogging sweepstakes, making me eligible to get a $50 Gift card to use at www.HasbroToyShop.com! For more information on how you can participate, click here.